The premise of Ice is simplicity. No unneeded menus, no unneeded buttons, and no wasted space. I honestly think this is cool enough to be a game-changing product in the mobile browser space (assuming the execution is as smooth as we're seeing here). It's being developed for both iOS and Android. Ice navigates primarily through gestures, as opposed to buttons. On a tablet, especially, this makes a lot of sense to me. One part of Microsoft's Surface RT that I like is the focus on gesture-based navigation (one of WebOS's few redeeming features on the Touchpad, I've often heard). When you're actually browsing, Ice has no visual distractions aside from a central "home" button at the bottom of the UI. It looks really nice, really clean, and really space-efficient. The latter of which is extremely important when you're on something with a display smaller than 10 inches. Navigation tasks are accomplished through gestures that provide visual cues, and searches and URL entry are done from a central landing page. The landing page itself is pretty simple: a 3x3 grid of icons, each associated with a particular site. You can have multiple grids, which are swiped through like pages on a home screen. In fact, it's pretty obvious that's the inspiration here: a smartphone home screen. Tab management (one of my least favorite parts of any mobile browser) is accomplished rather interestingly, as well. If the tab you have open isn't part of one of your marked 'favorites,' hitting the central button and returning to the splash screen will leave it along the bottom of the UI as a separate icon. That icon can then be dragged to one of the grids and saved, or presumably it can just live there with other tabs you have open. The search bar functions interestingly, as well - it looks as though you'll have configurable search engines which can all conduct the same query at once. 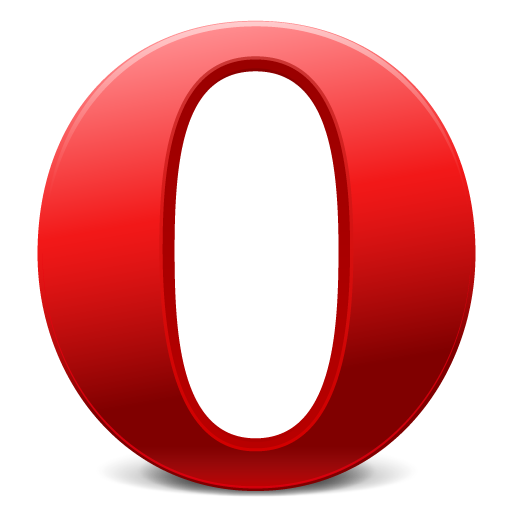 In the video, Opera CEO Lars Boilesen demonstrates this functionality by searching for 'iPad.' Instead of a single page, you get a series of panes that you can swipe through as you type, each one searching for the term in its respective engine - whether it be Google, Wikipedia, Amazon, or Bing - and then pick the one that's most relevant. On a desktop browser, the use case seems a little more limited to me. On mobile? That would honestly make me less averse to doing web searches from my phone or tablet. But maybe I'm going crazy - is everyone happy with the state of affairs or mobile browsing on Android? Or does Ice get you a little excited, too?